If you are from South India, You must have heard the name of Anna University. The university main campus is located at Guindy, Chennai. Anna University is known as a technical university in Tamil Nadu. Anna University was established in 1978 and offers both regular and distance education courses. Globally, the trend of online learning or distance learning is increasing. Since the penetration of internet and the internet speed has increased, a lot of good solutions to deliver online education have come up in the market. Now universities are adopting them to offer distance education. Anna University is not an exception in following this global trend. The university has created the centre for distance education for delivering distance learning courses to the masses. With the centre for distance education, Anna University is offering professional courses to working professionals. Anna University distance education MBA is one of the most popular professional courses that university offers. The distance education MBA course offered by Anna University is a 2 years degree programme. In this article, we will discuss about the eligibility criteria, MBA specializations, admission process and other relevant details of the distance learning MBA programme. 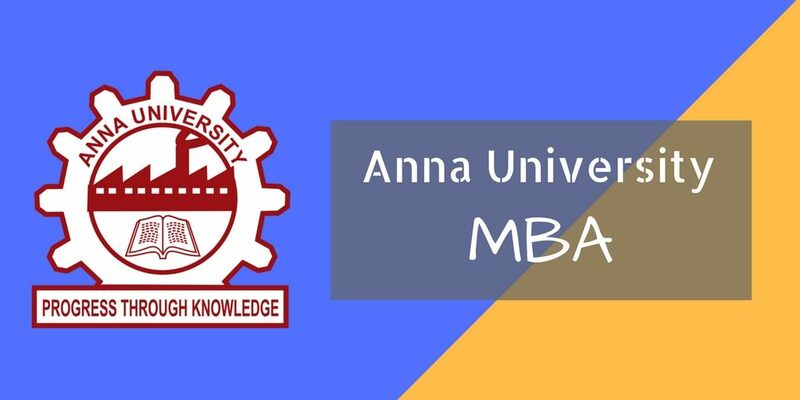 The 2 years MBA degree course offered by Anna University enables students to understand the key practices and functional areas that will help them becoming a better leader in the field of business management. Student must be a graduate in any discipline in order to be eligible for Anna University distance education MBA course. The graduation degree must have been obtained after 10+2 or equivalent. Students are also required to clear the Distance Education Entrance Test (DEET) conducted by the CDE, Anna University, Chennai. 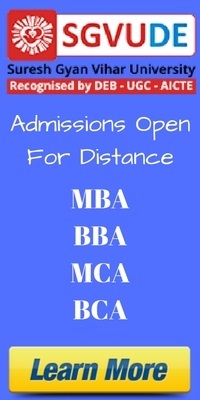 Anna University Distance Education MBA Fee Structure is quite affordable. The fee needs to be paid every semester. Below is the detailed fee structure for the MBA course. Fee is payable in the form of Demand Draft drawn in favour of the “Director, Centre for Distance Education, Anna University Chennai” and payable at Chennai. Students who have obtained their graduation degree from outside Tamil Nadu, an admission fee of Rs. 400 has to be paid as recognition fee at the time of admission. Admission will be provided to only those students who will meet the eligibility criteria of the MBA programme. There will be two admission cycles every year i.e Academic year cycle and Calendar year cycle. That means students can apply for admissions twice in a year. All admission will be given based on the performance in the Distance Education Entrance Test (DEET). All students, who will clear the Distance Education Entrance Test (DEET), will be provisionally selected for admission. The university will prepare a rank of all the students how have qualified the DEET and final selection will be done based on the rank obtained in the entrance examination. For students who have qualified the TANCET examination, a separate list will be prepared and published. It is required to produce all the mark sheets and provisional or original degree at the time of admission. No admission will be provided without producing these documents. Students who have obtained their graduation degree in “Off Campus” system are not allowed for admission. Students who are already pursuing any other P.G course from Anna University or any other university are not allowed for admission.